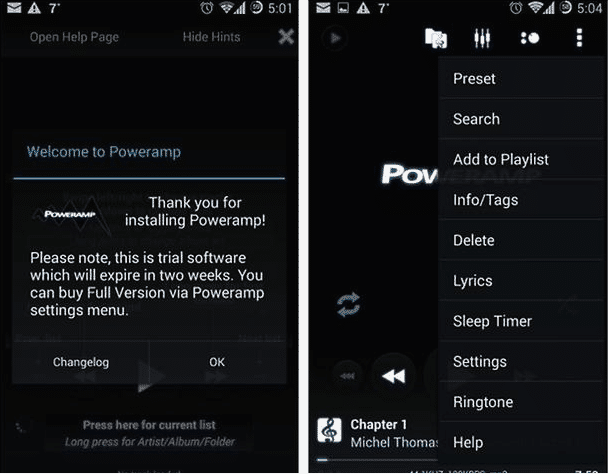 Power AMP app for android is now at 75% off ,there are a lot of reasons which have made Power AMP application to be the most favorite music player for Android users. Its easy customization options, features have attracted a huge number of people and it became the most successful music player running on Android. So, they thought of giving people a new year gift on this 2014 start up. for the 75% discount you don’t need to do any ward work or complicated transactions. Just download the Power AMP (Trial version) first from the Google Play Store and after you have downloaded and the app has been installed, you just need to purchase the Power AMP Unlocker which will available at discount. Install the Power AMP Unlocker App and you’re done. Now just plug in your earphone and enjoy the rock solid music. Till then, we will prepare some more news all about tech and gadgets.